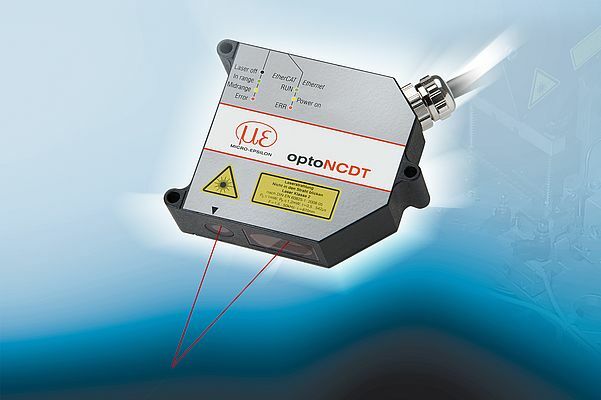 The optoNCDT laser sensors operate according to the triangulation principle and are designed for non-contact measurements of displacement, distance and position. More than 60 models of laser sensors are available for different types of measurements. Micro-Epsilon laser sensors not only measure mat surfaces but also metallic and shiny materials. The sensors are typically used for large distances and high speed processes. Different laser types enable flexible use. Red laser light with a wavelength of 670 nm is suitable for most of the common measurement tasks. 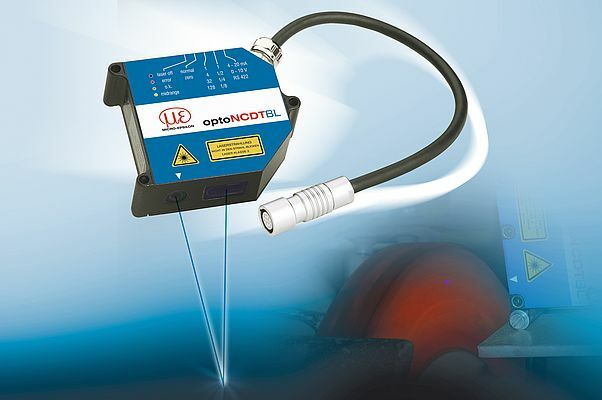 The innovative Blue Laser technology using blue laser light with a wavelength of 405 nm guarantees precise and reliable measurements even on red-hot glowing surfaces.